Short-term memory is a memory buffer that temporarily stores information in our brains. In everyday life, short term memory enables us to recall things we've learned very recently to perform complex tasks, however, the brain mechanism underlying its capacity remains largely unknown. A recent study has identified, for the first time, that human posterior parietal cortex (PPC) holds the key to this question. The research was published in a recent issue of the Journal of Neuroscience on Jan 16th. 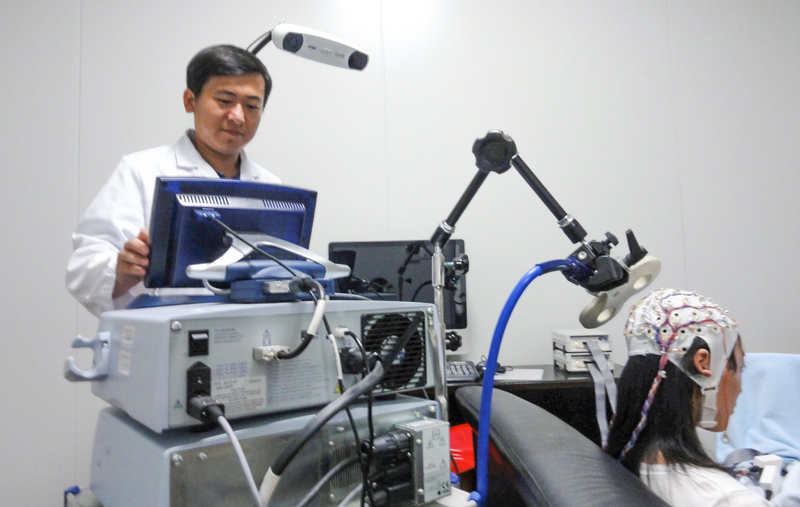 The corresponding author of the study is Yixuan Ku, who is a Professor at the School of Psychology and Cognitive Science at East China Normal University and a member of the NYU-ECNU Institute of Brain and Cognitive Science at NYU Shanghai. In the experiments, participants were shown 2, 4 or 6 bars, and after a delay (100ms for sensory memory, SM, and 1000ms for visual short-term memory, VSTM) they were asked to recall the direction of a bar among those presented bars. Researchers used transcranial direct current stimulation (tDCS), non-invasive, weak current stimulation to affect the excitability of areas around PPC, as well as the dorsal lateral prefrontal cortex (DLPFC), which served as a control area. They found that, after stimulating PPC, participants were able to remember more objects under the 6-bar VSTM condition, however, the precision of the memory representations was not significantly affected. The effect wasn’t shown in tDCS over DLPFC, nor the SM condition (sensory memory, when delay is as brief as 100ms), demonstrating the unique contributions of PPC to VSTM capacity. Wang, S., Itthipuripat, S., & Ku, Y. (2018). Electrical stimulation over human posterior parietal cortex selectively enhances the capacity of visual short-term memory. Journal of Neuroscience, 39 (3) 528-536.